Samrat is a former journalist who leads THR advocacy in India. 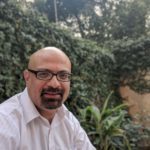 He is the founder-director of Association of Vapers India (http://vapeindia.org/), which is focused on ensuring access to lower-risk alternatives. He was conferred with an Advocate of the Year award at the 2018 Global Forum for Nicotine in Poland. He lives in Mumbai.